Hi everyone! 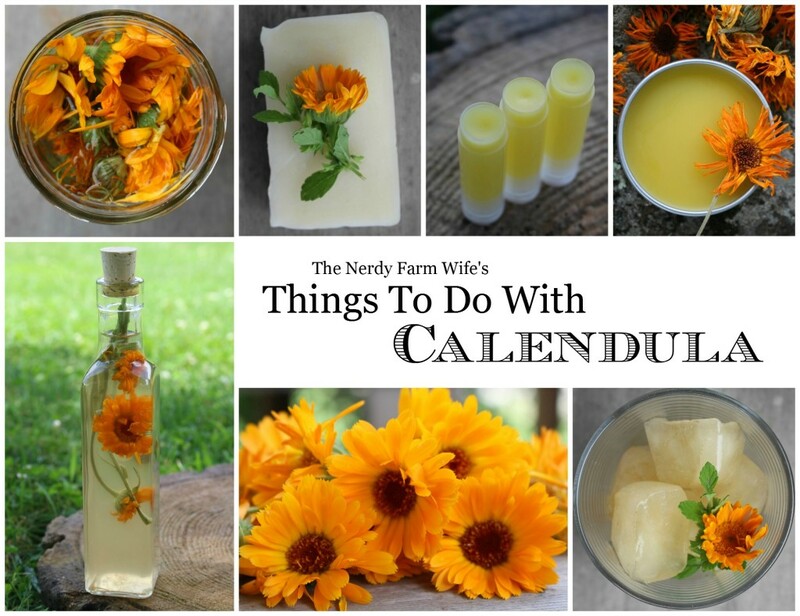 I hope you enjoyed the calendula recipes I posted this week! I’ve included them, along with a few others, in a free mini eBook that I wanted to share with you today. There are no strings attached and nothing to sign up for, just click the link below and grab your copy! It’s a small PDF file, so be sure to go ahead and download it to your computer since links to eBooks are subject to change. Tagged calendula. Bookmark the permalink. Thanks, Jan. This looks great. I truly appreciate these lovely ebooks that you so generously share. God bless you! Thank you for this book, I and truely grateful. You are a blessng. Thank you so much! Looking forward to trying some of these! Had to share this with my Garden Club. Great book. Thank you so much. Thanks for this book and the time u spent on it. I really do appreciate it. I love ur ebooks and recipes. Thanks Jenny! I’m so glad that you like it! WOW! This looks great! Thanks. FYI, found you from a FB post by learningherbs.com. I never cease to be amazed at the benefits we can get from the natural things right around us. You have a way of presenting it an making it desirable! Thank you for the time you put into the eBooks and post you share! I really enjoy your Blog! Thank you! So sweet of you to offer this! Thanks for the free ebook! Looks very informative! Thank you so much! I can’t wait to try all the options that are in the eBook. I’m always interested in all your useful information. Is Calendula a wildflower? It reminds me of a flower with a strong pungent aroma found in ditches. Where can I get it? For the calendula lip balm, when do you add in the peppermint essential oil? Also, how much ounces of the lip balm will you have at the end? 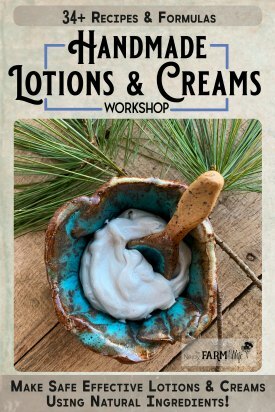 You can add peppermint essential oil after the wax has melted and right before you pour into your containers. If you put it in too early, the scent may evaporate out. To get a ballpark estimate of how many ounces a recipe makes – I just add up the total amount of ingredients. So, if a recipe calls for 4 ounces of oil and 1 ounce of beeswax, then I can approximate that it will make roughly 5 ounces of product. How and where do you download the book? If you click it, it will pull up the ebook as a PDF file. Once it’s open, you can save the book to your computer by going to “File” then “Save Page As” OR if you’re on a Mac, hit command S to save. Sorry Jan, for bothering you so much. I just have so many questions to ask about the calendula lip balm. How many calendula flowers do you need? Sophie, that is no problem at all! Asking questions is a good way to learn! :) You don’t need a lot of calendula flowers – I just got a one ounce bag today so just checked. It fills my 4 cup measuring picture almost up to the 3 cup mark. You can do a lot with just 1 ounce! For enough oil for lip balm, you’d only need a handful of dried flowers. How long will this lip balm last? I love your books too, I hope to try some stuff some day! can’t right now for a number of reasons. 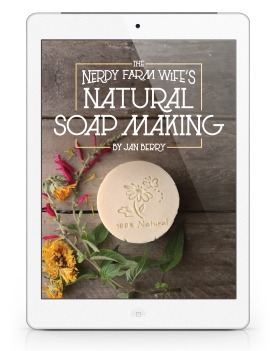 Thank you for the ebook, I have made some great salves with calendula, now I have some more great ideas to play with. Hi Kathy, I’m glad you like the ebook! So awesome to find someone willing to share their wealth of knowledge in these areas. I am sincerely grateful. Thank you, thank you! Can’t wait to make things.. Thank you for this beautiful book. I love that you are exploring the same path as me in to the healing properties of plants. That’s wonderful! I hope you have fun making things from your plants! Hello! Thanks for all the good information on your website and in your new book which I just purchases I was wondering if calendula infused oil can be used for food? For instance, for popcorn or something like that. Hi Lisa! Thanks so much for buying a copy of the new book! :) Some people do use herbal infused oils in a culinary manner, but you have to be very cautious with them as there have been a few cased of botulism reported. (I think mainly in oils infused with garlic or fresh herbs though.) Since I’m just not sure on the safety factor, I avoid using the oils internally. I wish I had more helpful information for you! Thanks so much. This helps! I’ll have to do a little investigating.